Simon and Elizabeth are sent by the Council to 1912 England to make sure scientist Niels Bohr survives long enough to attend a secret meeting. But as tensions in Europe rise and the makings of World War loom on the horizon, they're not the only ones concerned with Bohr's meeting. And not everyone wants him to make it. Keeping Bohr alive is hard enough, but when he books passage to cross the Atlantic, their task might just be impossible. Forced to follow him onto the ship, they must face mysterious assassins, dangers at every turn and survive one of the most infamous disasters in history. 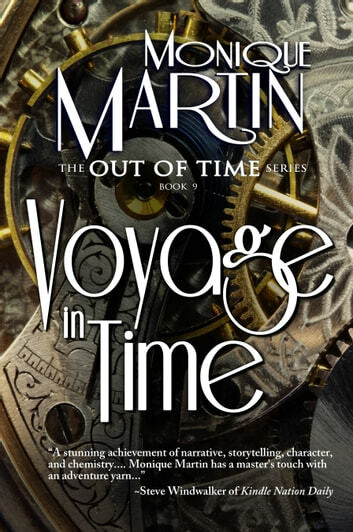 Don't miss the next adventure Revolution in Time (Book #10), now available! Such a good writer. The characters are beliveable and emotional. I now have book hangover. I need the next one. After 9 books, i still need more. 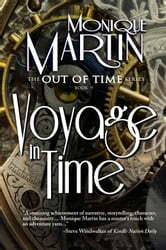 Another fantastic book, every book in the out of time series are brilliant and the historical accuracy is amazing. Can't wait for the next book and also looking forward to the next book with Jack too. Brilliant a's always ............................................................... ...... .
Lovely way to live through history. Could not help but become involved with the characters. Looking forward to next one . Since we all know what happened to the Titanic, the story gives you fresh ideas into what could or might have happened to those onboard. There has always been speculation of spies or murder. Ms Martin brings her characters into the excitement, especially when the reader knows they can leave at any time. But can they?